This blog, is where I keep my "BACK DOOR" Open to your www searches of new opportunities we own, YET our older drafted links are found at this old Universal HUB which is still to be found on the internet - outside and apart from our other international social networking hubs' independent from commercial clouding-services by many vendors on the yet wild world open www internet. GOOD NEWS The PrePatent PrePartnering Website is on line, to serve as a working model and proposed pilot project for National Economic Development initiative in any nation for its International Inventors and Investors and including all active professionals in the industry, it is beneficial for all people and companies with interests in new original arts and capabilities as products and services and science. 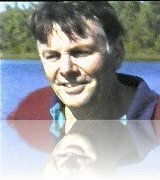 Here is a SAMPLE of yet Advanced New Knowledge, which has been needed for years, while the wrong solutions are still being developed by special interests groups for exploitation where no wise honorable leadership is provided — thereby, many special important opportunities which can be registered as Special and as Historic Opportunities within this better proposed automated PrePatent PrePartnering method, are being missed, as well as simple good ideas which are wanted or are needed and/or can be proposed, are not welcomed to meet respectful opportunity and too many are lost to the active selfish market monopolies. The 'EchoLogical Machine' is the future computers generation, capable of working in the way we have expected the industry to develop machines capable of working with us in as natural ways which we work with each other, and where there are languages we do not know but wish to communicate with people from other cultures. The original design, is based on the original 'New Miracle Numerical Machine' which is controlled by a very simple yet extremely powerful numerical control any child can muster, in order to control very powerful automatic intelligent assistants capable or any and all natural languages communications, across all cultures and knowhow. The design is A Trade-Secret I shall keep, and will show and tech the Development Team. 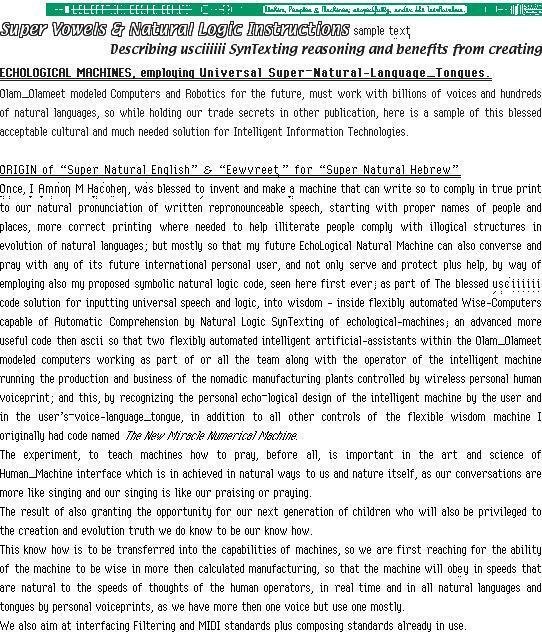 For now, all that I share, are sample of the upgrading of English and other languages into the Super Natural Languages realm, so that binary logic machines will be able to serve us much better and in the natural ways we work and communicate across cultures and worldwide. Is one place to find about our Aquatic Surface Flying and Sailing technologies, employing SES Technologic Knowledge. Our Corporate WebSite is found @ Superior Hulls Inc. Here is our ski and sailboat, on a local lake, flying with small outboard engine. Here is a very simple discovery based invention which only needs the proper commercial partner.